Find the right gear for you. Earthboard is the name of a new product by Rare Earth Music. They have developed an ingenious way to organise, power and set up your effects pedalboard with almost no hassle or messy cabling at all. Combining the use of Rare Earth magnets and a handy rail system to power the pedals of your choice. I heard a few rumours during Summer NAMM about this new American company that claimed to have a neat solution to the guitar effects pedal board, well it turns out the Earthboard has indeed come up with a pretty unique take on this, with their magnetically powered pedal board system. Essentially there are two steel rails running in parallel across the top and bottom of their boards, you then affix a ‘magnetic shoe/sled’ that they call a Gravity Boot to your individual pedals and this puts a power plug into your pedals power input’, which negates the use for daisy chain power cables or having to run individual cables to an external power brick/supply. The neat part is that you then use a rechargeable battery that is sat on its own magnetic shoe and this runs power to the two steel rails and thus powers up all your effects pedals individually. Being that the Earthbound board is not plugged into a mains supply when you are using it means that it provides a true isolated power source to your pedals. Which is great for us guitarists gigging and also means you aren’t tethered to a wall socket. It is a neat and simple solution. To power down you just pull the rechargeable battery off the rail and it stops you wasting power when not in use. The unit has LEDs under it so you know when power is running through it and all you need is a few patch cables to run your signal through. You can easily re-order your effects chain without having to worry about getting a power cable to reach the newly positioned effect as well. Yes, at last, you can avoid bloody Velcro and all the messy, sticky, fluffy hell that it can turn into on a pedalboard over time. No, having to stick it all over your favourite pedals and remove all their feet to do so. There are three Earthboard models that hold 5, 7 or 11 standard size pedals, so you should be able to find something that will work for you and hopefully if it takes off they will add more to their range over time. I kind of really like this product idea. Okay, I’m sure there could be a few power issues with certain ‘odd’ effects units, but on the whole, this system is pretty neat and I love its simplicity. Take a look at their official demo video below to get an overview of how it all works and if you fancy ordering one. 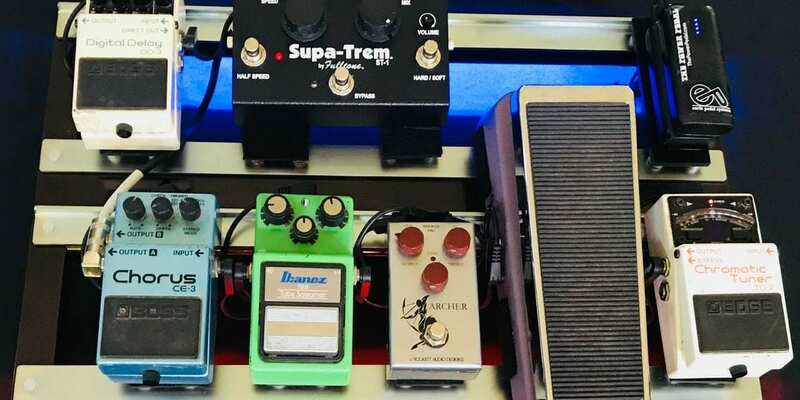 Then the link below provides all the details on the various sizes of pedalboard that they offer. 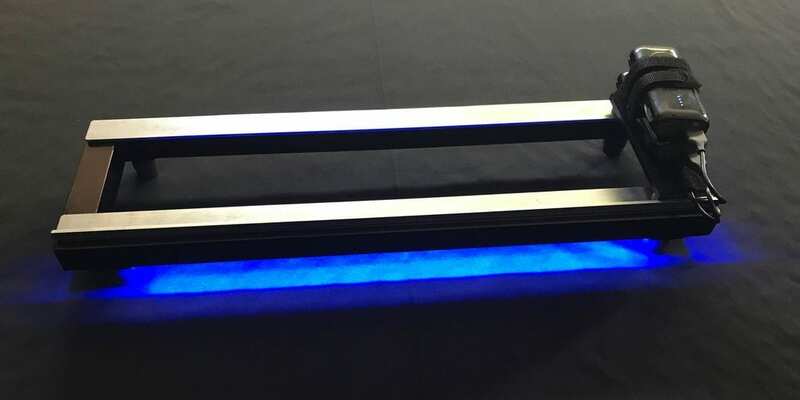 The post EarthBoard – This new magnetically powered pedalboard could set you free appeared first on gearnews.com.